Raymond Boyer was born to a wealthy Montreal family during the early twentieth century. He completed a bachelor’s of science in 1930 and an organic chemistry PhD in 1935; after some work abroad, he returned to Canada, where he joined the Montreal branch of the Canadian Civil Liberties Union and became president of the Canadian Association of Scientific Workers. 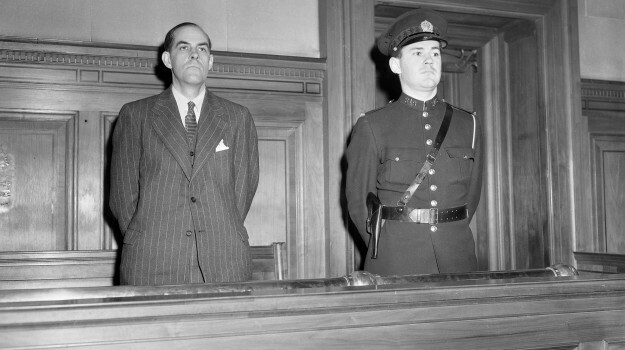 A McGill University professor when he was detained in 1946, Boyer was recruited by Fred Rose and was accused of giving information to the Soviets (through Rose) about an explosive called RDX that he was helping develop for the National Research Council. He admitted to the espionage commission that he had supplied confidential information to the Soviets, but like Edward W. Mazerall, he stated that it was already available to the public. Although Boyer’s and Mazerall’s attempts to justify their actions may seem unusual, their arguments reveal a great deal about why they joined the study groups run by Fred Rose and Gordon Lunan. First, like many scientists of their day, they believed that scientific knowledge should not be kept secret by governments but should be open to everyone. Second, both Boyer and Mazerall, like many of their colleagues, often failed to take their oaths of secrecy seriously, especially regarding research that was to be released to the public in the near future. Nevertheless, Boyer was found guilty and received a minimum sentence of two years.